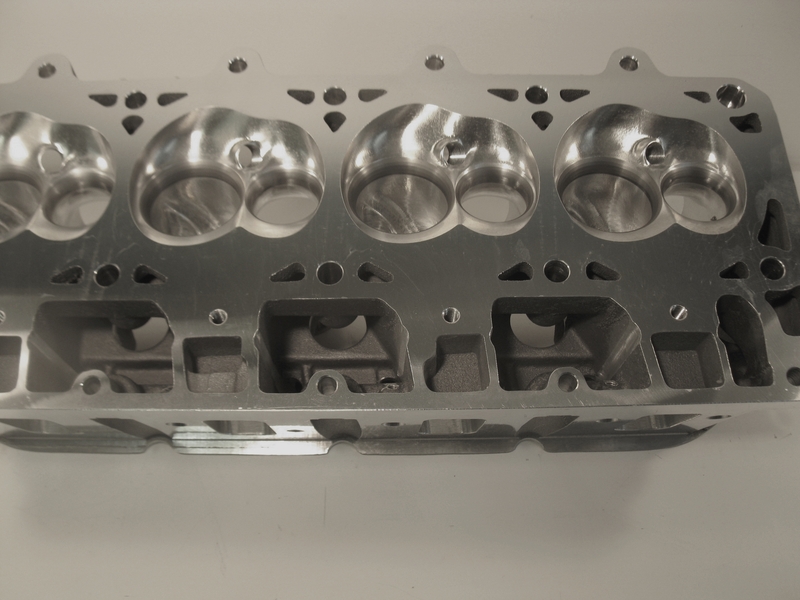 These thick wall head castings are based on the factory LS7's 12º geometry. 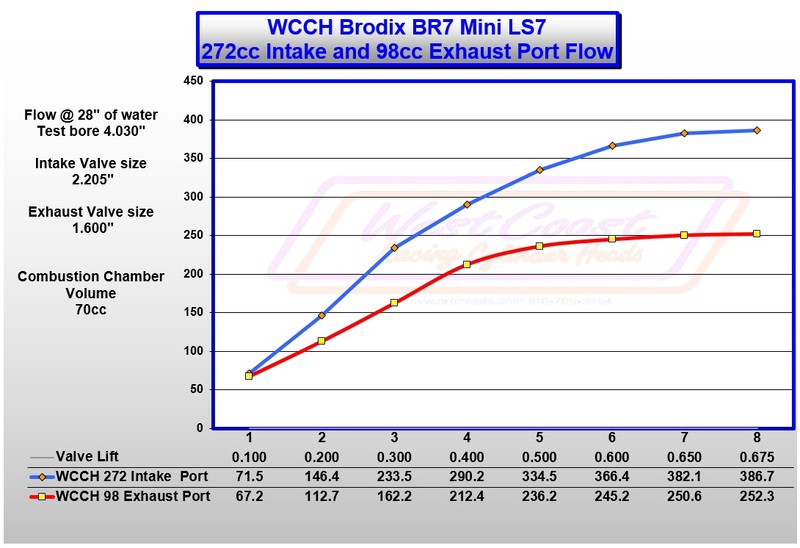 Our 265cc program makes and excellent upgrade to the factory LS3 and LSA heads and works extremely well with stock lower ends. 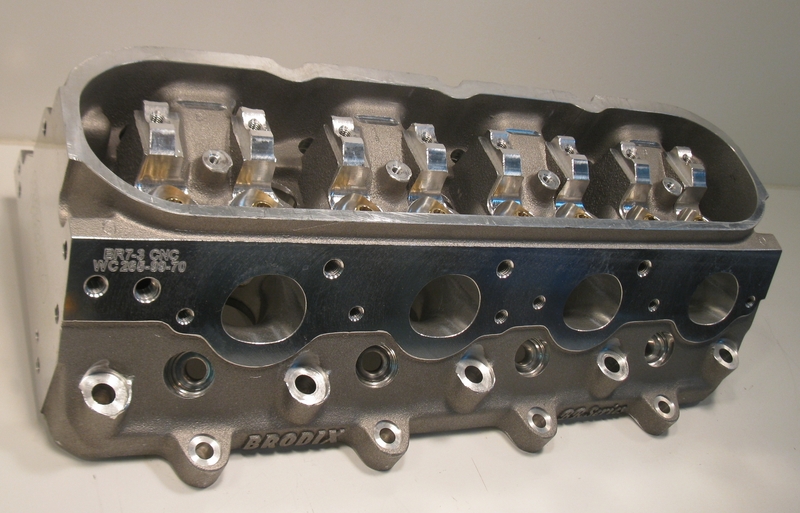 These hybrid castings from Brodix are designed to utilize the factory LS7 rocker arms as the rocker arm pedestals are cast into the head similar to the LS7. 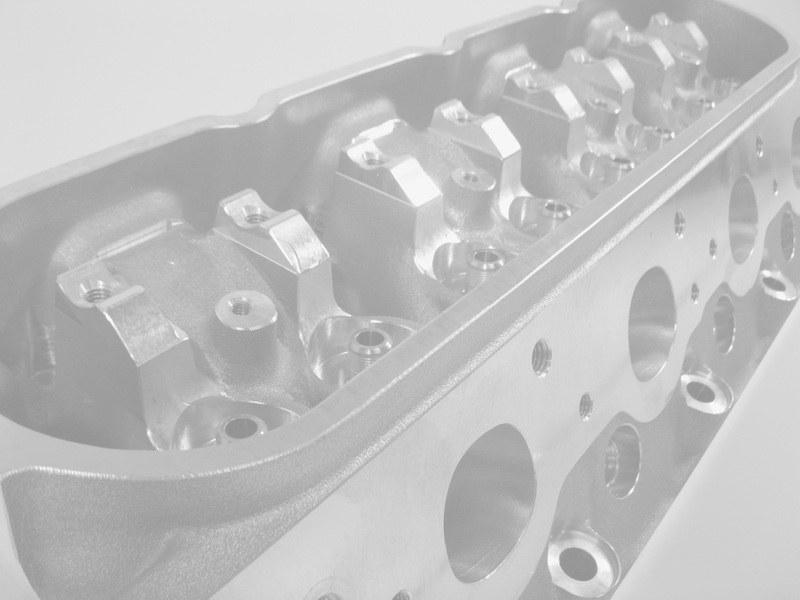 Not that the rocker arm ratio of the LS7 heads is engineered to a 1.8:1 ratio while the standard LS3 and LSA rocker arms are engineered to a 1.7:1 ratio. 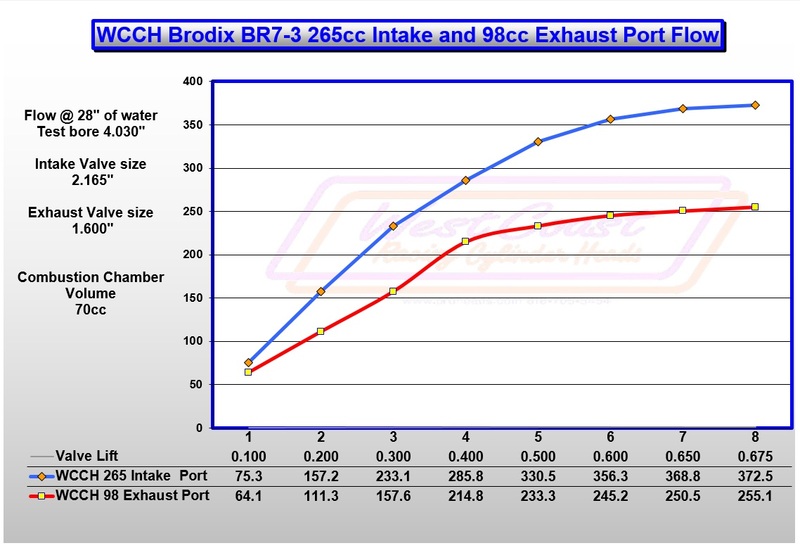 Brodix casts the heads with 3/4" of deck thickness and added reinforced rocker arms pedestals. They are equipped to fit 6 bolt style engine blocks and the spring pockets will accept 1.350" dia valve springs. Intake tested with radius flow plate. Exhaust tested without test tube. All brand names and trademarks are the property of their respective holders and while we make reference to brand name(s) we are in no way endorsed or associated by these companies. Our newest option for use on 4.0" bore blocks and larger. 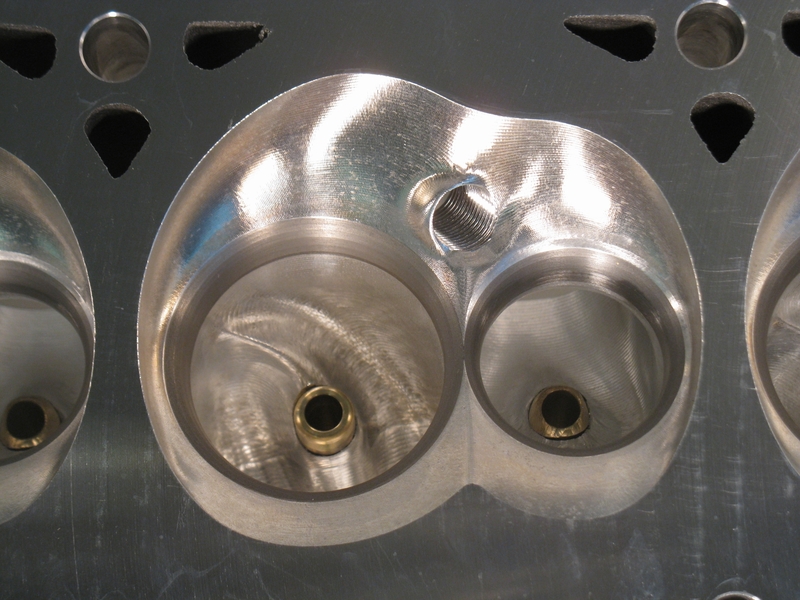 This mini LS7 head allows the use of any LS7 style intake manifold and has an excellent flow curve. This program is designed to use the LS7 head's large 2.205" dia. intake valves and a 1.600" dia exhaust valve.